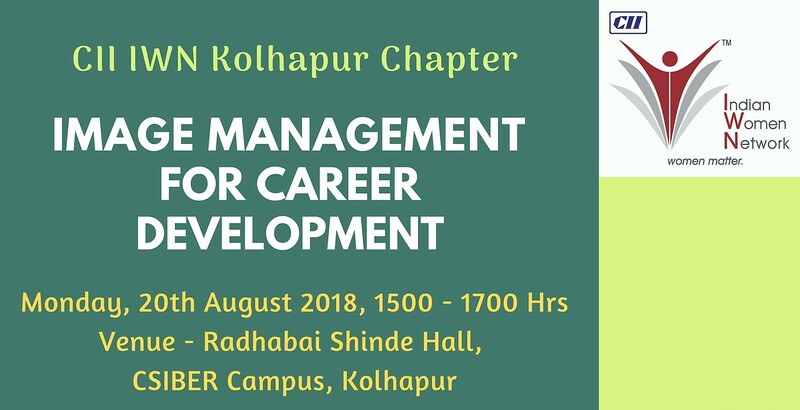 CII IWN Kolhapur Chapter is organizing a session on “Image Management For Career Development” on Monday, 20 August 2018. Image management is the Art and Science of Managing one’s image through Optimal Utilization of Personal Resources like Clothing, Grooming, Body Language and looks to achieve one’s personal, professional and social goals in various life Roles. Image first of all creates greater self esteem and self importance. Self-image is of central importance to the psychological health and well-being of individuals in Western cultures. In Indian culture and especially at the work place women are facing several issues and inequalities. The image of a women that has been in existence many a times becomes stereo type and very difficult to change. Through proper guidance and consultation with experts women can create an image for themselves which will boost her career.